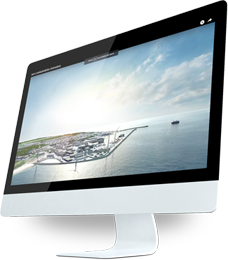 The Port of Hirtshals would like to give all interested parties an insight into the life and activities at and around the port. The Port of Hirtshals is home to a range of different commercial activities. It is important for all who cooperate with the port, to know the conditions that underlie the use of the port´s facilities and the disclaimer cited by the port. The Port of Hirtshals´ terms and conditions, and disclaimer can be found here. It is possible for vessels that call at Port of Hirtshals to fill out an report forms online on this website, and afterward send it directly to the port. Being a North European hub, the Port of Hirtshals aims to influence the future business development. By pushing boundaries, we can together create new and better business opportunities - new blue oceans.